I believe the way our nation is progressing and growing, where Bangladesh is transforming its conventional economy into digital economy to ensure the positive impact of inclusive growth, it’s just a matter of time to reflect in our economy where Green Delta Capital Limited can play a significant role from private sector to build a sustainable eco system with access to capital development for fintech Industry. Bangladesh has been maintaining commendably a high growth rate of GDP in the range of 6-7 per cent annually almost for two decades. The GDP growth is expected to increase by 10% within next 5 years. The Government policy, regulations and the eco system is helping the local entrepreneurs to convert the country into the digital economy and the key strength is the people. The new concept, blue economy, the massive infrastructure development program taken by the Government of Bangladesh is giving the opportunity to build a sustainable fintech market in Bangladesh. Green Delta Capital Limited (GDCL) is one of the leading investment bank and can help new start up and entrepreneurs by advising and structuring to ensure the access to finance from global market to grow their business in line with Government vision 2021. Green Delta Capital Limited has access across the globe to help local entrepreneurs and star-up to get the capital from global market. Bangladesh is an emerging economy of over 160 million with only 19% have access to banks (Source: Bangladesh Bank, June 30, 2017). Financial Technology (FinTech) is the solution of financial inclusion of remaining population still lack access to finance. Financial Institutions of other South Asian countries have already adopted fintech and are reaping its benefits. Fintech is revolutionizing economic, industrial and social sectors globally. From the introduction of mobile payments, online banking and cryptocurrencies, this industry has expanded exponentially over the past few years. 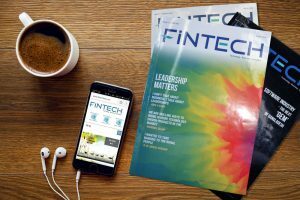 In general, Fintech is renovating the way people and companies get access to the finance and the way financial institutions manage their back-office operations. This is a host of new technologies promising to deliver financial services in new, efficient and secure ways. Through fintech, products and services designed especially for those individuals who don’t otherwise have access to traditional financial services and those who are underserved by mainstream banks. The major advantage of fintech is that, it is more efficient, faster and generally provides and improved experience to clients and end users. Clients no longer have to wait for the long processing time of Banks for international or local payment. Banking can easily be done through smart phone or computer. FinTechs are actually building their infrastructures from ground to serve the underserved people. Bangladesh is currently in a growth phase and with growing economy, new innovation of financing service is a must. By adopting fintech, the payment process can be more fast. A big portion of foreign currency in Bangladesh has been earn through the remittance. Bangladesh is the ninth highest recipient of remittances according to a World Bank report. fintech has already successfully disrupted the international remittance industry by making cross-border money transfers quicker and more cost effective than before. Implementing Fintech in Bangladesh for remittance can show a significant improvement for payment process. For export and import, the payment processing time would be more fast which can accelerate the economic growth. The Govt. of Bangladesh has targeted to establish 100 economic zones across Bangladesh. To achieve the target and making the process successful, innovative and fast financing services is mandatory. Payment processing activities can be reform by FinTech. bKash Limited, the 1st Mobile Financing Service in Bangladesh, established in 2010 and within a very short period of time, captured the market considerably. The processing time is very fast compare to the tradition banking system and that’s why, many customers now a days prefer bKash to transfer fund rather general banking system. After the huge success of bKash, many banks are now adopting this method to improve their service quality. FinTech can be used to automated the traditional banking system to provide improved customer service. In the age of digitalization, it is now the demand of time to initiate Fintech to perform traditional banking activities. FinTech can reduce the risk of error and bias which is one of the major concern in financial transaction. The financial fraud can also be traced easily by adopting FinTech. Now a day, banks are investing heavily in new technologies. Banks are now expanding their business by adopting FinTech to accelerate innovation and incorporate new technologies and skill sets. By adopting FinTech, we can attract more foreign investment in our country. More Private Equity Firm and Venture Capital Firms are now interested to invest in the emerging economy of South Asia. A report from Deloitte published on 31 December 2018 estimated that FinTech investments in Southeast Asian countries in 2018 have exceeded the $5.7 billion invested in 2017 by up to 30%.To attract more investment, we have to act now to encourage the financial sector to adopt FinTech. One of the major thrust sector in Bangladesh is SME sector. The Govt. focus is to increase the rate of financial inclusion in the country and support small and medium enterprises (SMEs). This sector can be benefited tremendously by FinTech. Most of the enterprise under this sector established in rural area where financial inclusion is very low. Whereas, mobile penetration rate is very high in Bangladesh. As of February 2019, The total number of Mobile Phone subscribers has reached 158.438 Million whereas The total number of Internet Subscribers has reached 92.061 Million. Through fintech, more small and medium entrepreneurs can get the easy access to finance. With the improvement of SME sector in rural area, the job opportunity would be created. Migration to urban area will decrease which will help the decentralization of Dhaka city. Currently, Dhaka is the central of all the financial activities which is creating this city one of the most populated city in the world. Decentralization should be done to improve the living condition of Dhaka city. Fintech is becoming more prevalent in rural areas to serve the unbanked. With access to finance at even in rural area, the improvement of the whole community can be done. Farmers who are based in rural area, cannot get the fair price of their production most of the time. If financial inclusion can be done, a sustainable market place can be created for the root level farmers. Through FinTech, farmers can get more access to the banking and thus can improve the living standard in a significant way. FinTech can also improve the transparency of the business sector. Tax collection can be done easily through automation which will improve the Govt. revenue. Another major advantage of FinTech is that this system is reducing the use of paper. Banks are now relying more on saving data in a paperless manner. The banking operation are becoming paperless. Banks now can store more data which is easily accessible to the concern department. This is the green option adopted by most of the banks. Bangladesh can be benefited greatly from FinTech. We have a huge young population who are adopting this technology faster. Many startups are coming forward with news ideas to facilitate the financing sector of Bangladesh. The Govt. of Bangladesh has been set the time period for implementation of the first National Financial Inclusion Strategy (NFIS) from 2019-2024 in line with the target to graduate to middle income country status by 2024. Also, “Digital Bangladesh” is an integral part of the government’s Vision 2021 and Fintech is an aspect of digitalization. Adopting FinTech would be a very timely solution considering the current sustainable growth of Bangladesh. FinTech can be used as a powerful means to expand access beyond financial services to other sectors, including agriculture, transportation, water, health, education, and clean energy. Green Delta Capital Limited (GDCL) is pioneer in advising, structuring & implementing Bangladeshi entrepreneurs and business houses. GDCL can make a difference to introduce a Bangladeshi company in global market where technical and skill know-how can be exchanged or shared.